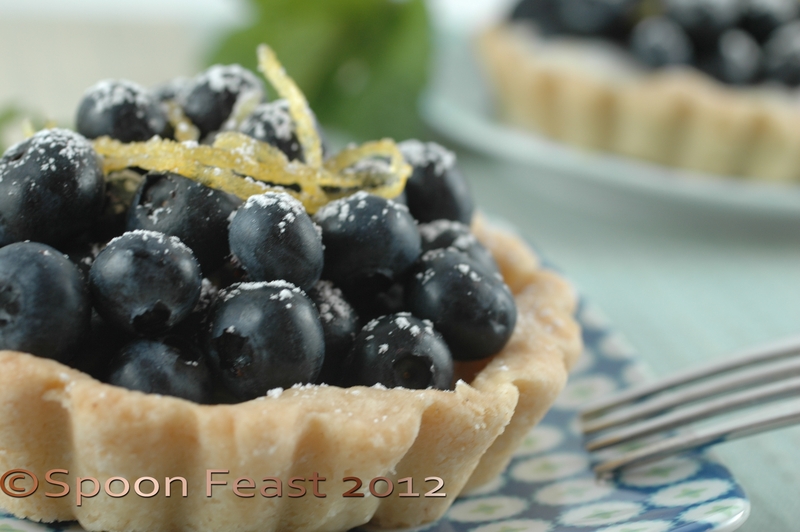 A delicious blueberry and lemon tart for Fathers Day! 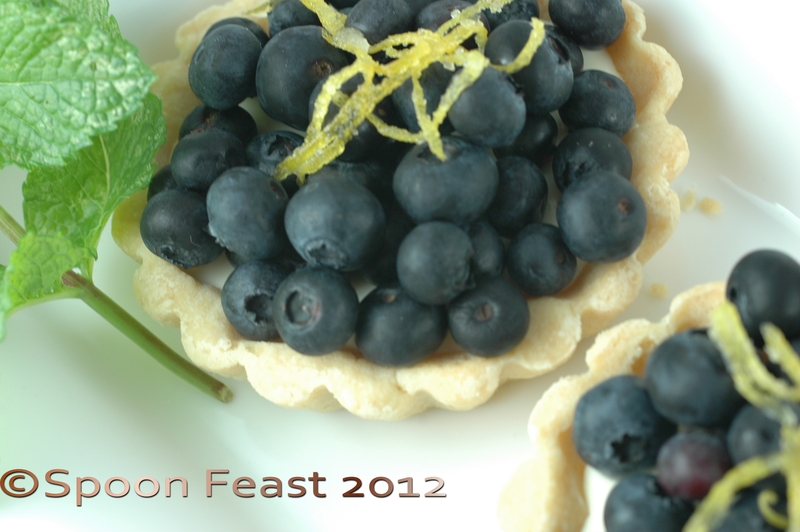 The tart uses a pie dough made with vodka, a filling with lemon curd and cream cheese crowned with a pile of fresh blueberries. 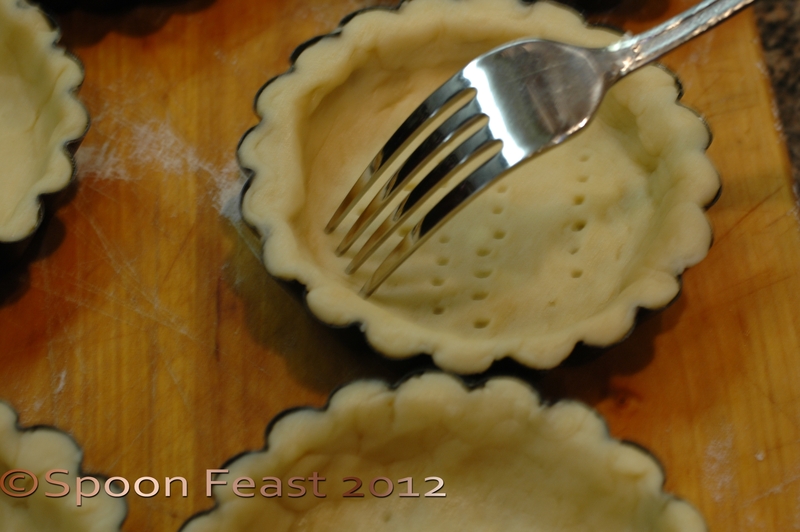 Using vodka in pie dough creates a very flaky crust. The alcohol prevents gluten from forming in the flour as the dough is processed. Gluten is what would make the dough tough. Wonderful for bread, but not so nice in a pie crust. This dough rolls out beautifully. One secret is to chill the dough for at least 2 hours or overnight. Use a food processor for speedy results. 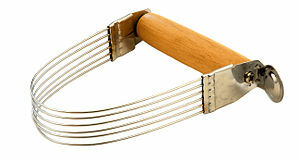 If you don’t have a processor, use the two knife technique or a pastry cutter to blend the fat and flour, then again to add the vodka and water. Add 1-1/2 cups flour to the bowl of a food processor. Add the salt, sugar (if using), butter and shortening to the bowl. Put the lid on and pulse until the mixture is about the size of peas. Add the vodka and water, pulse to combine. Do not overwork which will make the dough tough. 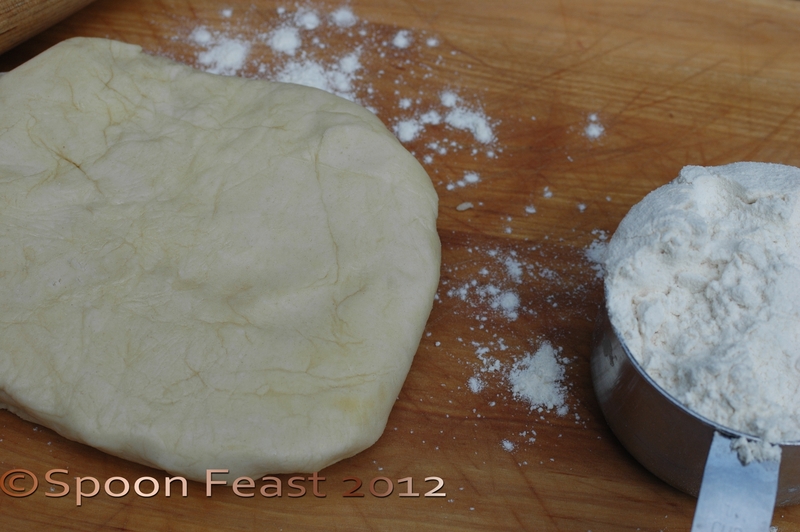 Remove the dough from the bowl, separate into two pieces, flatten into discs. Wrap each disc in plastic wrap and chill either overnight or for at least 2 hours. 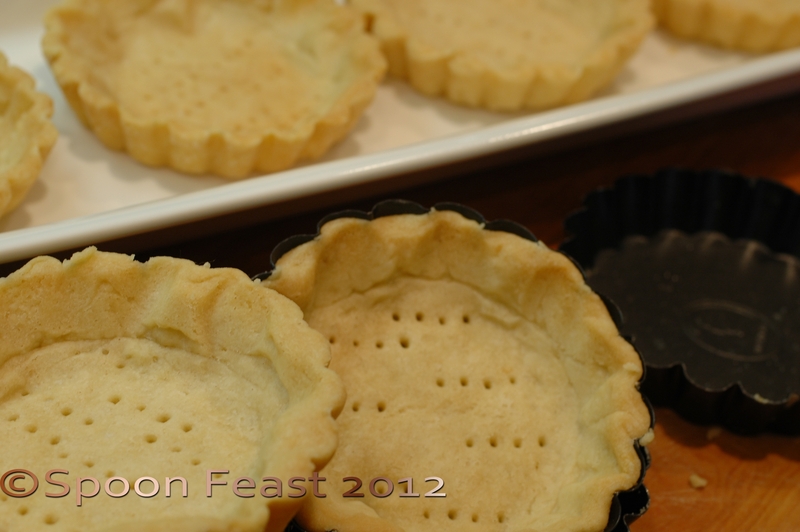 Roll the dough, line the pastry dish (pie tin, tart molds) with the pastry. Dock the surface of the dough; cover each tin or mold with parchment, fill with rice or beans and bake at 375°F until the crust is golden brown. Cool the shells before filling. You can always buy pie crust if you don’t want to make it. You can even pie totally pre-made and cooked shells if you prefer. 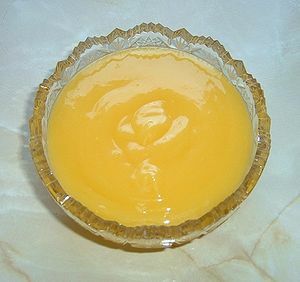 Homemade lemon curd (Photo credit: Wikipedia) You can also buy it already made. Bloom the gelatin. Heat the cream and the gelatin in a double boiler to prevent scorching. Set aside and keep warm. Warm the cream cheese slightly in the microwave, it combines better with other ingredients when it isn’t cold. 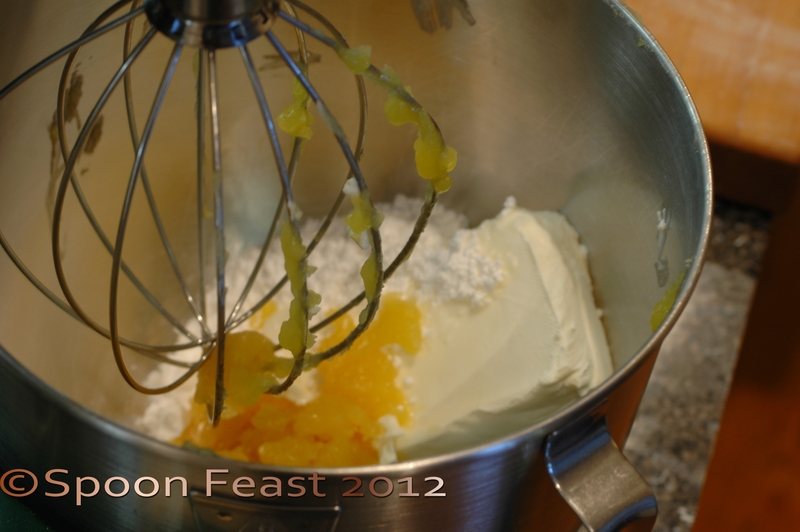 In the bowl of a mixer, add the cream cheese and lemon curd and confectioners sugar. Add the warm cream and gelatin, zest and lemon juice to the mixture, mix until smooth. 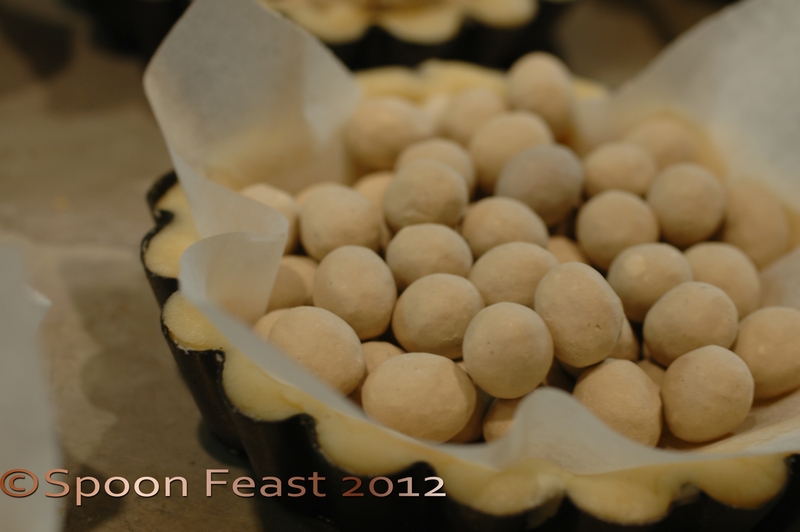 Fill each of the baked pastry shells with lemon cream cheese mixture, Chill until firm. 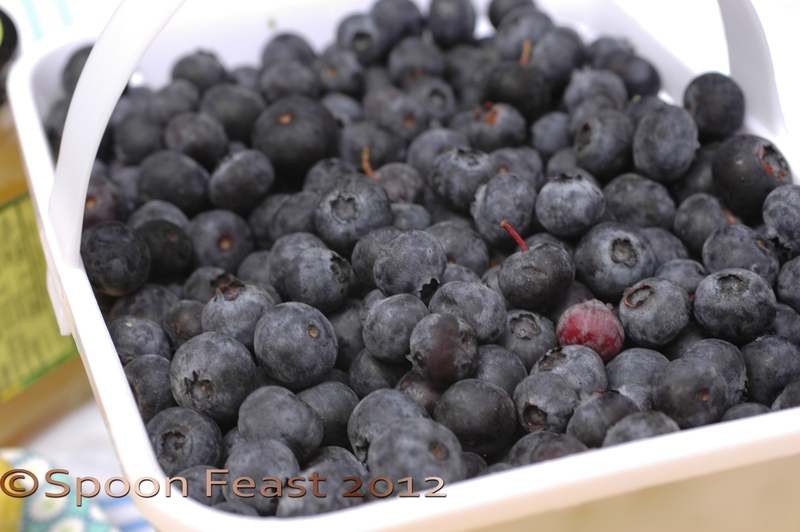 To serve, top with fresh blueberries. Garnish with a dusting of confectioners sugar and cinnamon. 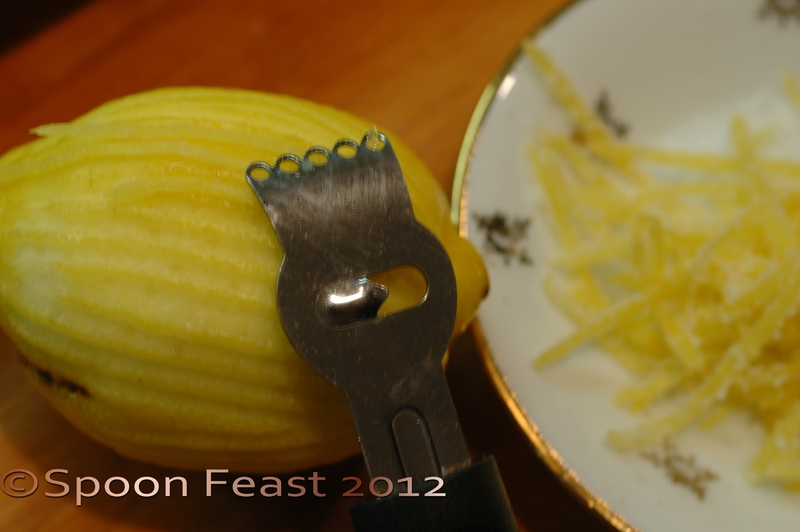 Top it all off with a curl of lemon zest and fresh mint leaves. Dust the berries with confectioners sugar with a small bit of cinnamon over the berries just before serving. This entry was posted in Cooking, Recipes, To Tyler: How to Cook: and tagged Basic Pie Dough, blueberry tarts, Cream cheese, Dessert, Father's Day, Food processor, Fruit curd, Pastry blender, Pie, white whole wheat flour. Bookmark the permalink. Anything blueberry has to be good! The father says they are delicious and surprisingly light in taste and texture. Not a hint of too sweet! Loved ’em. I like the addition of the cream cheese in your tarts…they sound so good. By the way, I don’t’ know if others are having trouble but I can’t get on your blog…just see the header but not your posts. I can only get to you through your comment on my blog. Could you ask this reader to contact us directly about the issue, so we can investigate further? If she sends us an email at help@wordpress.com, mentioning the problem and including a screenshot of the issue, we will make sure we help him gain access to your blog again. If anyone else is having viewing issues, please let help@wordpress.com know so they can help resolve the issue. If your comment numbers and stats are the same…maybe it was just a glitch. I hope so because what they want me to do is way beyond my technical abilities. LOL. Anyway, I was glad that I got to visit this post. I hope you can see it now.